All prices for diving and snorkeling are final and there are no additional hidden fees or taxes. The prices are valid from 01 January 2018. All price lists can be viewed and downloaded at the bottom of this page. The SUBEX products can be booked online on this website. Please do not hesitate to contact us if you have any questions. The basis for payment of all services is the currently valid SUBEX price list, on which all prices are quoted in Swiss francs (CHF) and euros (EUR) at the fixed exchange rate of 1.20:1. 1. prepayment by bank transfer in CHF or EUR (with discount) for bookings up to 10 days before arrival. Booking here via the shop or by email to the dive center. 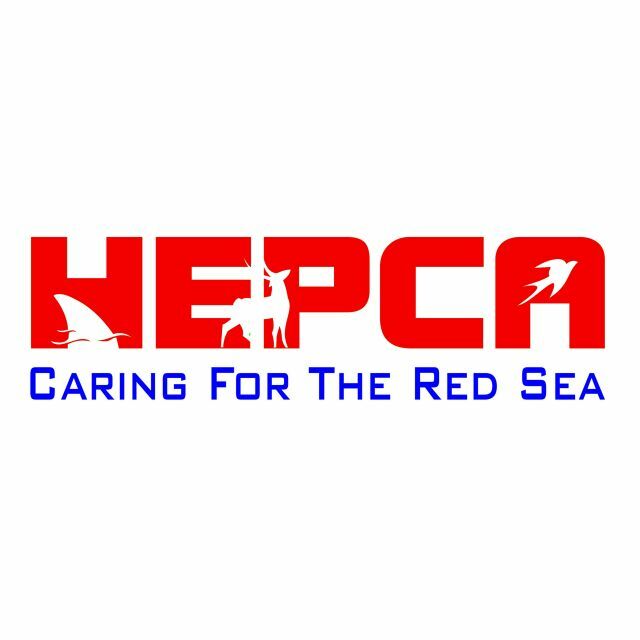 2- Cash payment on spot in CHF/ EUR/ US Dollar (USD) and Egyptian Pound (LE). Payment in USD and LE will be converted at the current exchange rate. 3. credit card payments with VISA- and Mastercard can be made free of charge in Euro, US Dollar and Egyptian Pound (LE). We would like to point out that when paying by credit card in currencies other than the currency in which the account is held, the bank will convert the amount. This has the consequence that the advantages and also the disadvantages, caused by currency fluctuations, must be accepted. Booked dive packages are personal and non-transferable. Unused dives expire. Cancellation: Cancellation of services booked and paid for in advance is possible. Version A) Financial refund of the paid service with the deduction of a handling fee of CHF 36.00 / EUR 30.00 per person. Version B) Voucher, valid for 18 months from the date of issue, for services booked and paid for in advance on the respective SUBEX basis without deduction of a processing fee. No-Show: If a) there is no written cancellation up to 2 days before arrival at the latest or b) the customer does not appear, there will be no refund of services booked and paid for in advance. 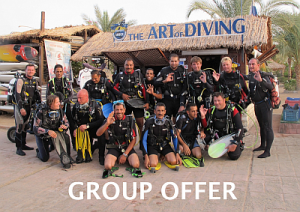 For groups from 4 or 6 divers we have attractive group prices for diving. 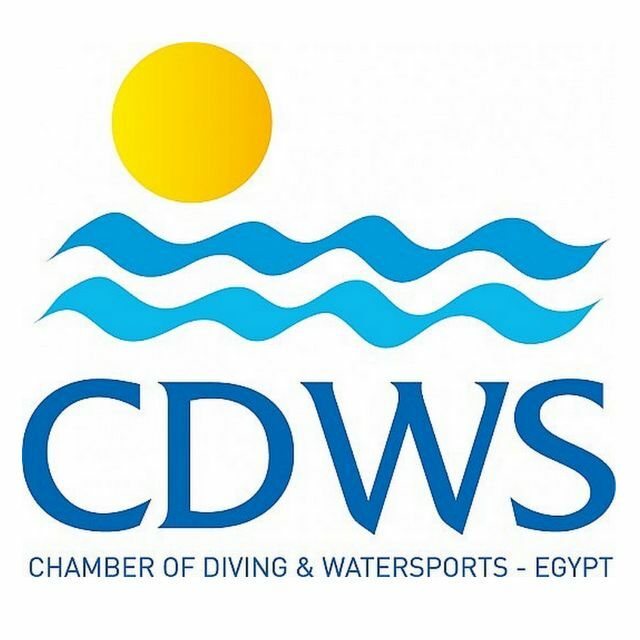 If you book the same diving course with a group of at least 4 participants, one person can benefit from a 40% discount! For 5 -12 persons there are further staggered discounts! For groups of certified divers from 6 persons we offer our unbeatable diving flat rate of 50 € / 60 CHF per person and day. This includes 2 tanks, weights, belt and transport to the dive sites (boat or bus). All group offers are only valid with prepayment, so please contact us at diving@subex.org. 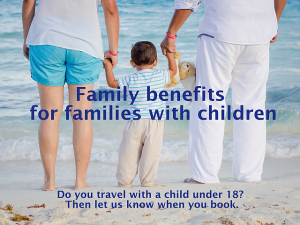 A family (3 persons or more) with at least one child under 18 years, of which at least 2 persons dive in the same holiday, receives 30% discount on the cheapest diving program of one person. The family offer is valid with prepayment and on site.